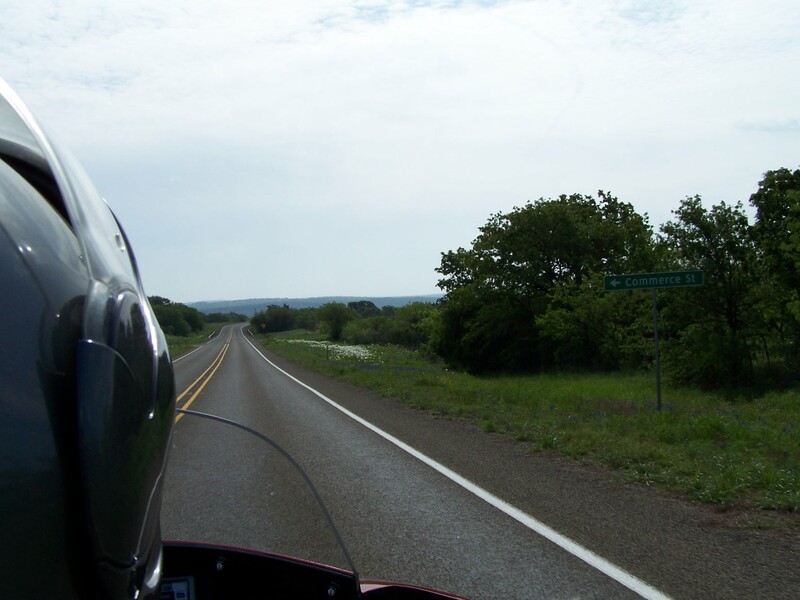 Texas is large and has many nice motorcycle roads of all kinds with varying types of scenery. We haven’t ridden all the places in Texas but have ridden many of them. The list below does not cover all the motorcycle roads but are our favorite motorcycle roads in Texas. If you have a favorite road, please feel free to leave a comment telling us where it is and why you like it. We will update this list as time goes by so check back from time to time to see what’s new. SH 39 is Janet’s personal favorite. 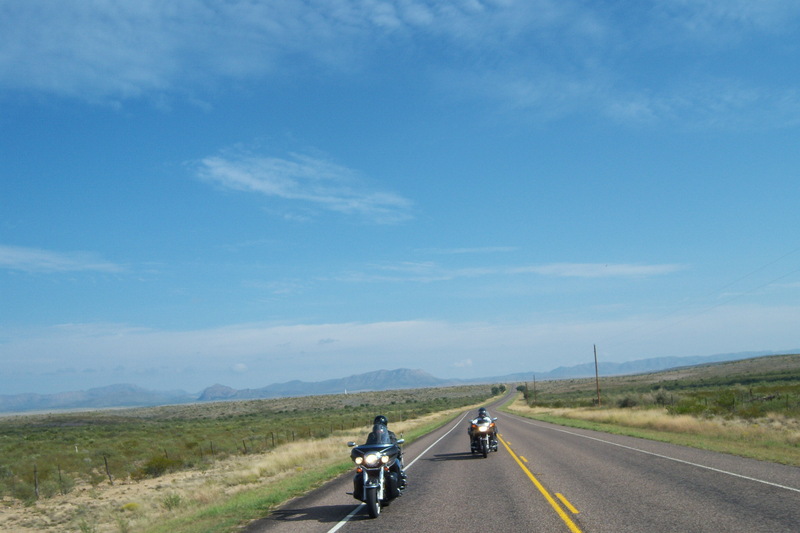 The ride goes from Ingram through Hunt on to U.S. Highway 83. The ride has many curves with low water crossings and crosses the South Fork of the Guadalupe River many times. SH 39 is very scenic and tree-shaded with nice homes on much of the ride. Take is slow and easy so you can enjoy the scenery. 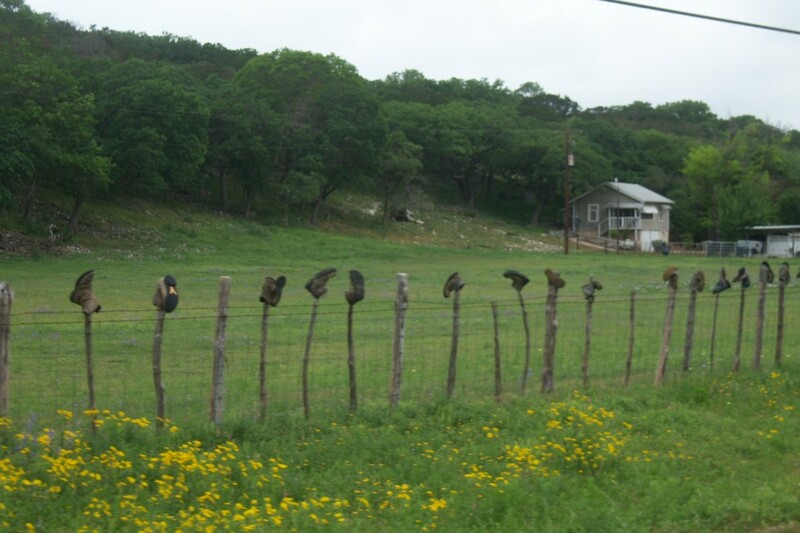 Otherwise you will miss something the fence lined with boots. 12 miles northeast of Fredericksburg just off SH 16 is “The Willow City Loop”. It is a 20 mile stretch of beautiful Texas Hill Country back road that any motorcyclist will love. Janet and I usually take this little detour when we are heading down SH 16. If you haven’t ridden the loop, then it is time to plan a trip. and experience what the Willow City Loop has to offer. The narrow road winds up, down and around scenic hills. 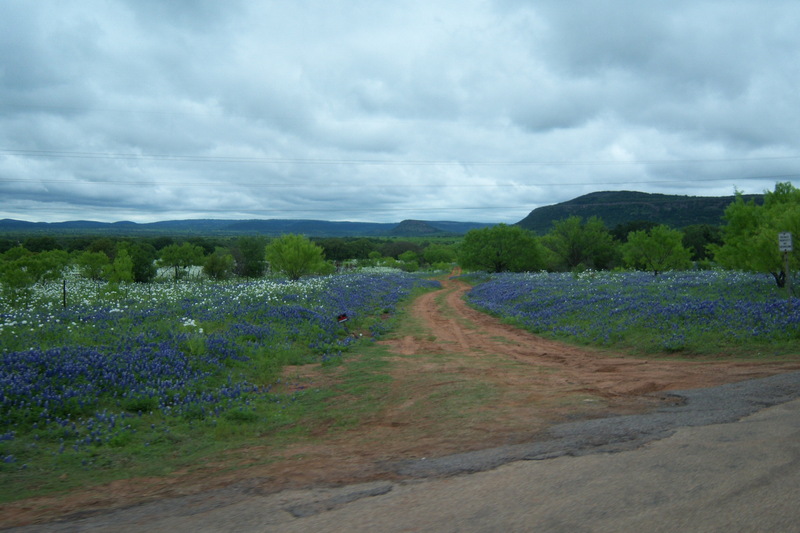 In the spring the loop is highlighted with wildflowers including bluebonnet , Indian paintbrush and more. There are many cattle guards, farm gates and low water crossing so observe the speed limit. 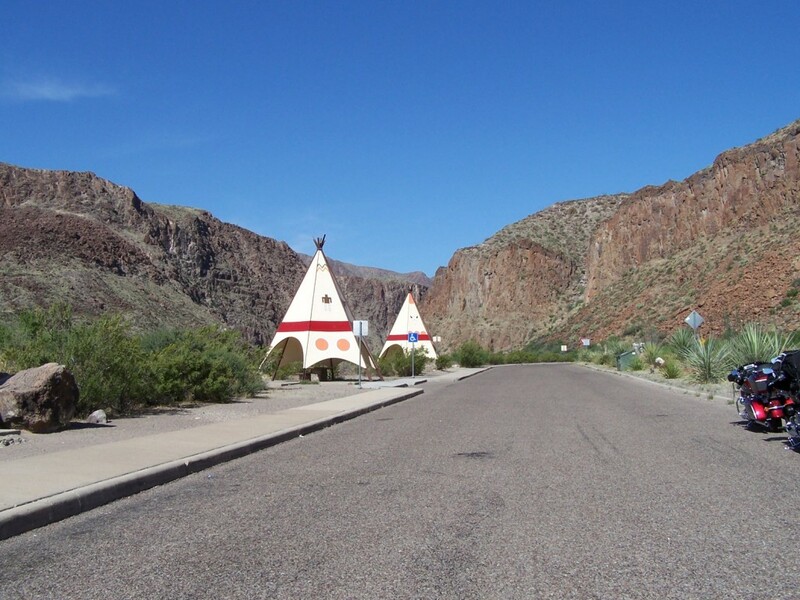 The loop is enjoyed best at a leisurely pace and do watch for cattle and people on the road. Also be aware that there will be lots of car and bicycle traffic on the loop during the wildflower season. We prefer riding the loop during the week to avoid the traffic. There are lots of photo opportunities so plan on stopping to get good shots. The property is private along the loop so please be respectful and stay on the road way. The ride is short and takes about 30 minutes to complete but it is well worth the trip. You will not be disappointed. 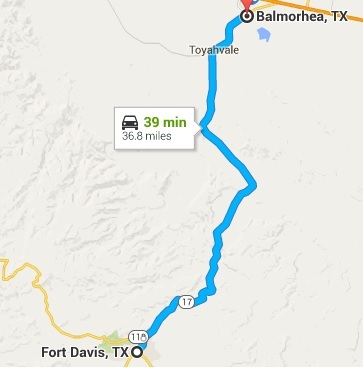 SH 17 from Fort Davis to Balmorhea is one of my personal favorite roads in the Big Bend Area. The scenery is a must see if you are in the area. At times you think you are not in West Texas. TX Hwy 118 with Alpine in background. The best section of this very long highway is south of Kerrville to Bandera. 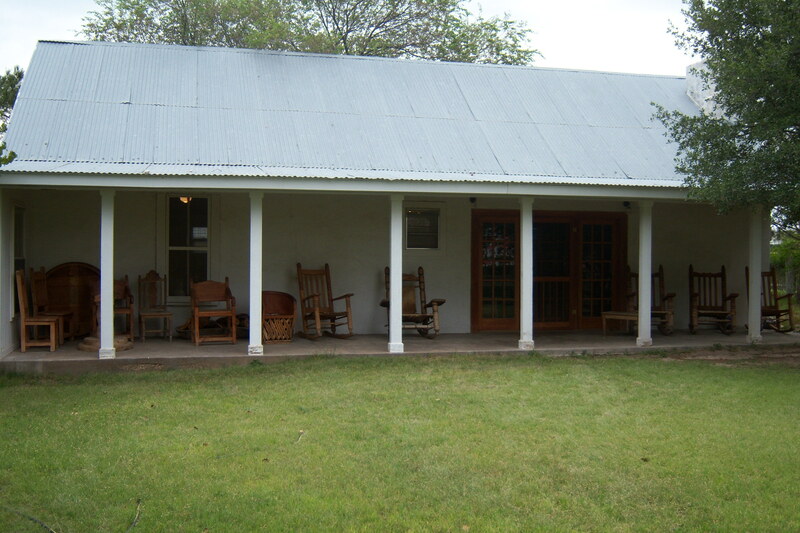 It has some very tight curves with scenic views of the surrounding Texas Hill Country. Highway 170 is known to bikers as the “River Road.” Highway 170 extends from Study Butte to Presidio. From Study Butte heading west you will travel through the mining town of Terlingua, now a ghost town with a population 25. 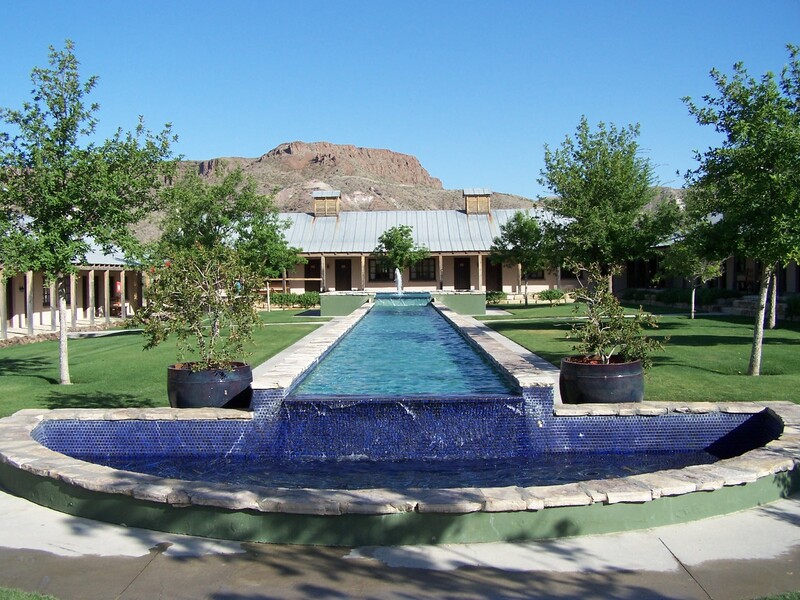 Terlingua is the home of the “International Championship Chili Cook-off”. From Lajitas is your ride down “one of the prettiest roads in America.” About 9.5 miles from Lajitas, on your left, is the old movie set Contrabando. Several movies were made there and is worth a look. 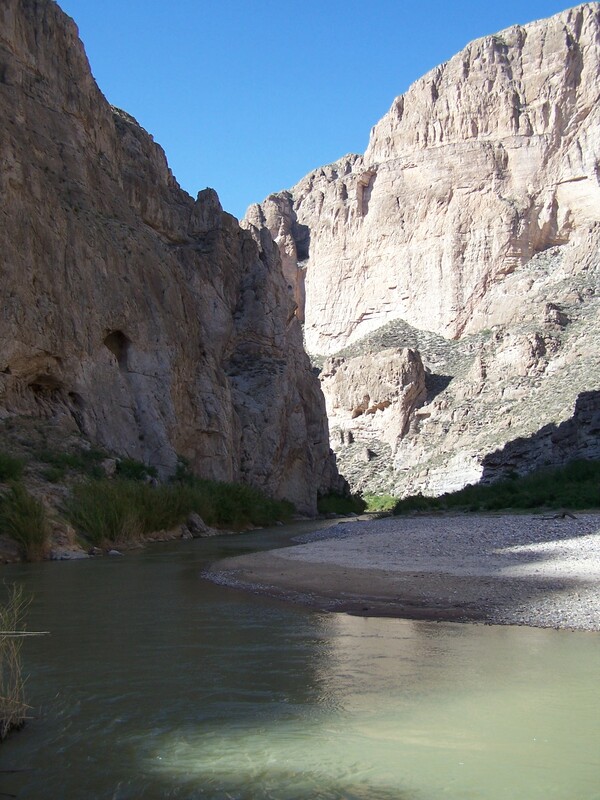 The River Road is a spectacular ride through lush, twisting river valleys through red and purple rock rising to 1000 feet above the Rio Grande River. The road is an excellent motorcycle road; twisting and dropping to the canyon floors along the Rio Grande river. 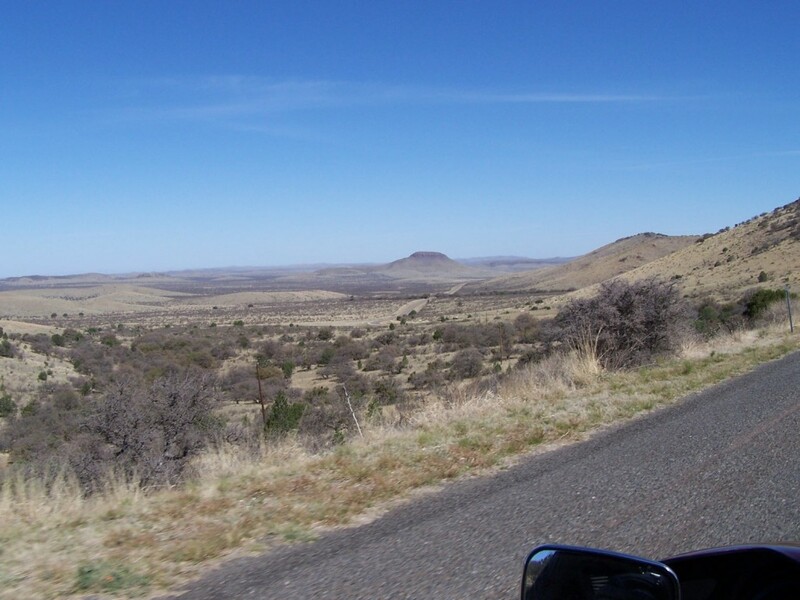 You ride through the Bofecillos Mountains formed by two ancient lava flows to the “Big Hill.” At a 15% grade it is the steepest of any regularly traveled Texas highway. Just outside Presidio, take time to visit Fort Leaton State Historic Site, one of Texas’ most unusual historic sites. Fort Leaton is a massive adobe fortress built in 1848 immediately after the Mexican War. RR 335 is one of the roads that make up what bikers call the “Three Sisters”, some refer to them as the “Twisted Sisters”. RR-335 is one of our favorite roads. It follows along the west bank of the Nueces River and has some really great views. 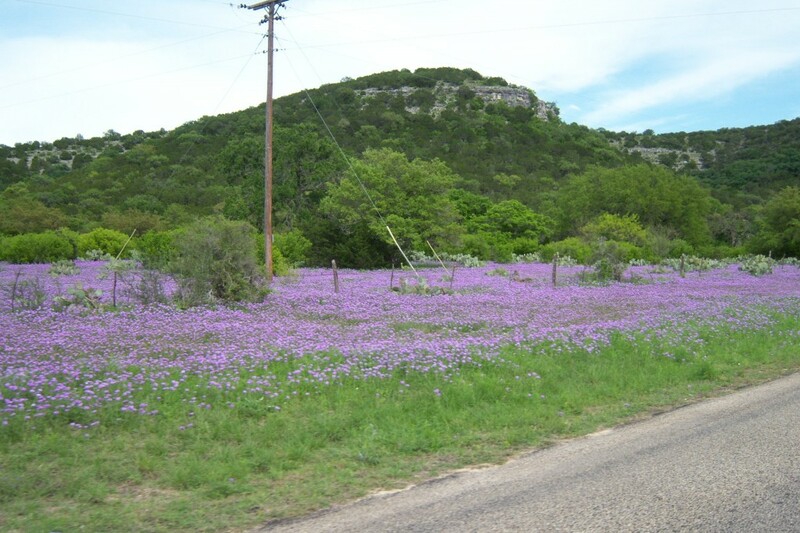 In the spring, when wild flowers are blooming, Verbena is the most prevalent wildflower on this road. Some of the fields and pastures looked like a sea of purple and the smell hangs in the air for miles and miles. Along the way is a ranch that raise all sorts of wild animals. Near the road were kangaroos with little Joeys, giraffes and further down we saw camels. RR-335 is a twisty roller coaster of a ride but doesn’t have sharp turns so it wasn’t so bad. We rode nice and easy to enjoy the scenery. RR 336 is one of the “Twisted Sisters” or “Three Sisters”. There was a sign warning that 10 motorcyclist were killed on 336 since 2006. It was twisty but not that bad. I’m sure most, if not all, killed were on sports bikes and riding way too fast for an unfamiliar road. I like the other two sisters better but RR 336 is a fun scenic ride. RR 1050 runs from Utopia to U.S. 83. 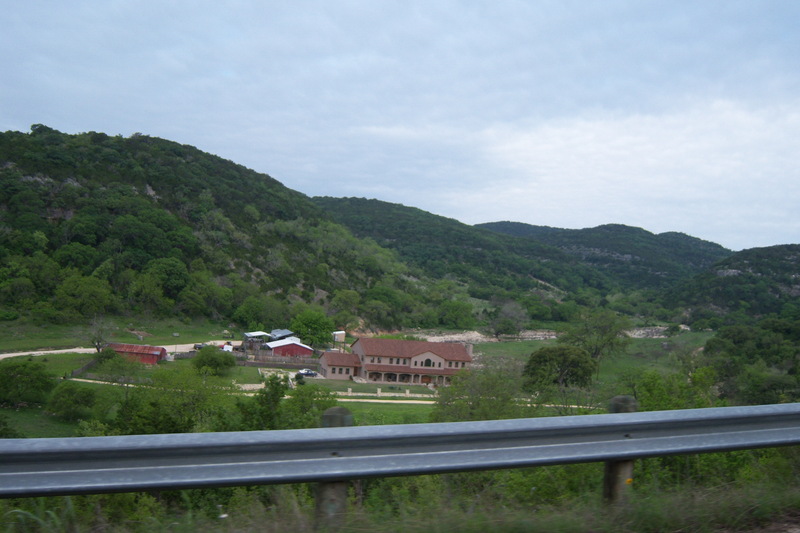 It has nice curves riding through scenic hills of the Texas Hill Country with several changes in elevations. You will need to stop at Garner State Park. It has scenic camping and hiking trails. 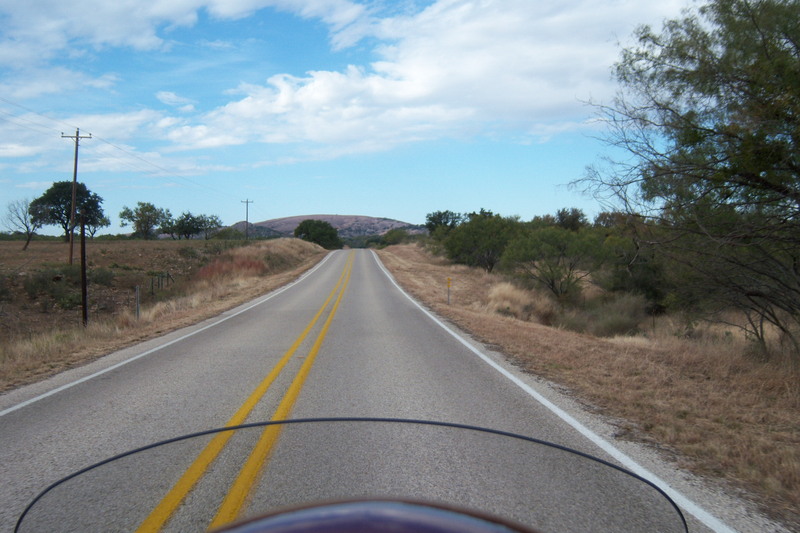 This ride runs from SH 16 to Fredericksburg past Enchanted Rock. It has panoramic scenic views with nice curves and elevation changes. Take the time to stop and hike up Enchanted Rock for even more panoramic views of the Texas Hill Country. 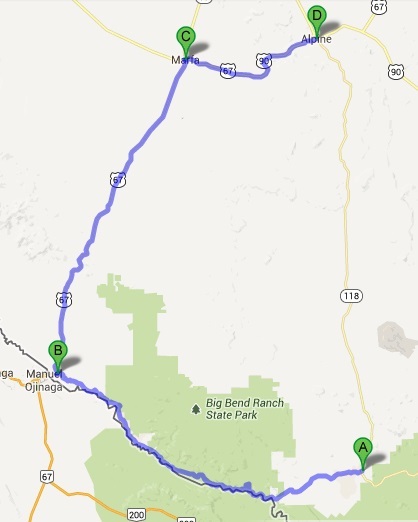 Loop 166 is in far West Texas near Fort Davis. From Fort Davis take Texas 118 and turn left onto Texas 166. 166 passes Mt. Livermore and Sawtooth Mountain, then gradually descends, with panoramic views to the south of the Sierra Viejo Mountains along the Rio Grande River. 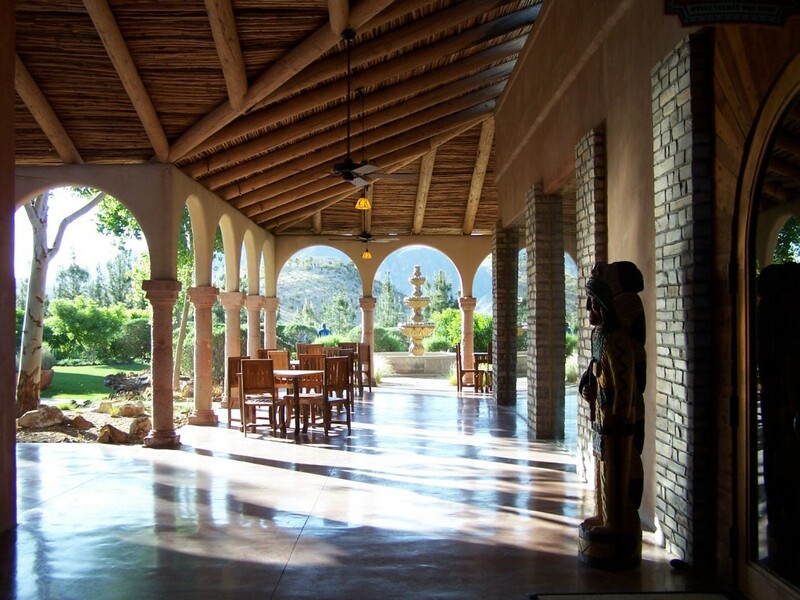 As you return again to Fort Davis, you have views of the Puertacita Mountains and Miter Peak. 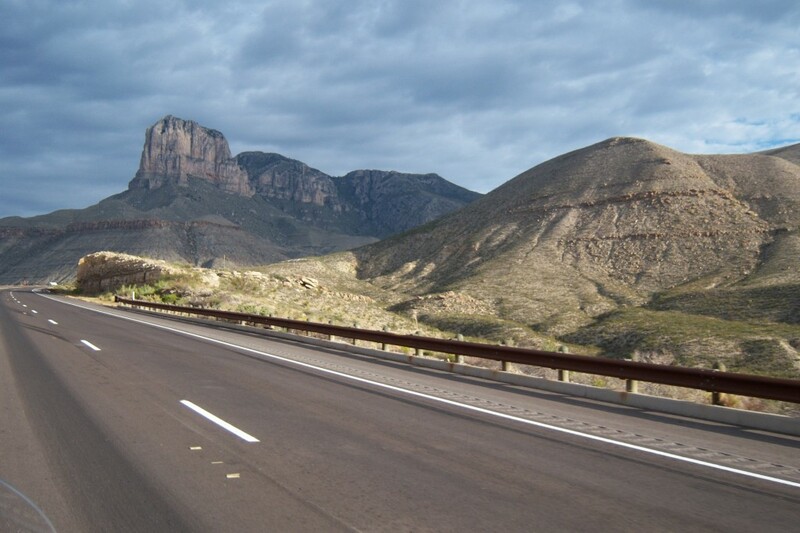 Loop 166 reaches about 6700 feet on the loop which makes it the highest public highway in Texas. It take about 1.5 hours to ride. 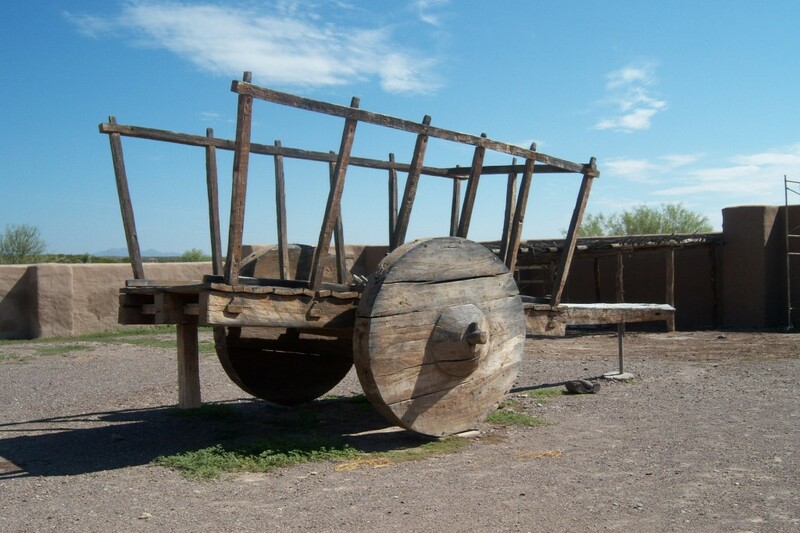 We try to plane the ride so we are back to Fort Davis before lunch before heading out to our next destination. 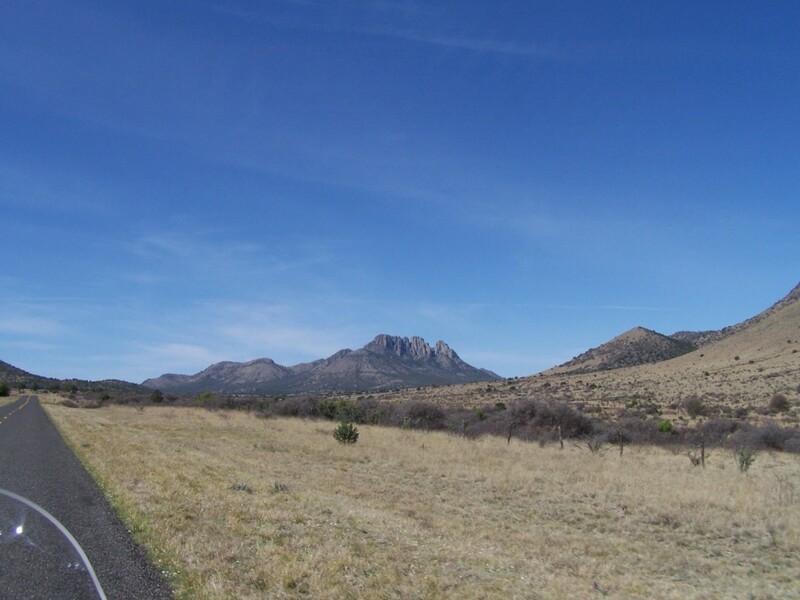 TX Hwy 54 from Van Horn to Guadalupe Mountains Nation Park. SH 54 runs from Van Horn to Gaudalupe Mountains National Park. It’s just a nice scenic road with panoramic views of the mountains in the distance. Not a lot of curves and the curves are very gentle. 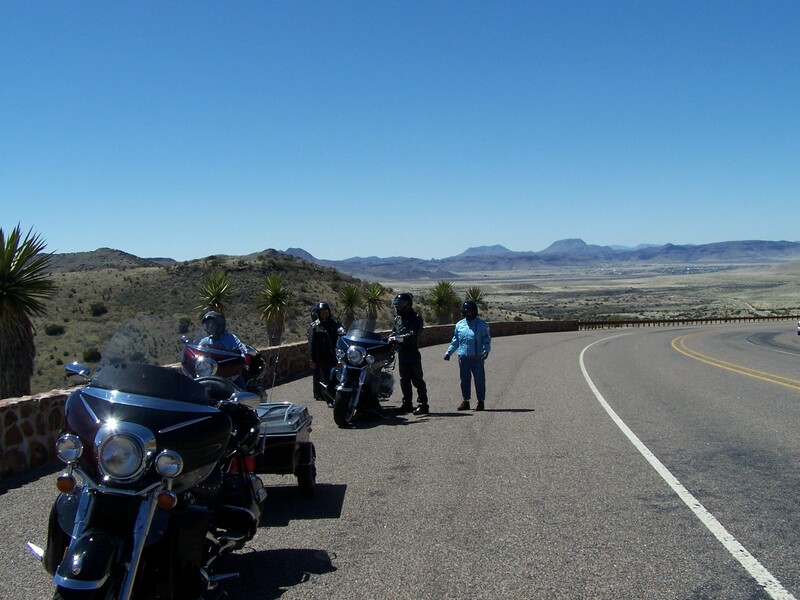 This is the last day of our Big Bend National Park motorcycle ride. Thanks for following along on our ride. We hope you enjoyed reading about it as much as we enjoyed riding it. We had another good free breakfast here at San Angelo Inn. This morning was in the 60’s. Nice riding. We gassed up and headed for Georgetown. It was mainly a nice ride. We did see a lot of Blue Bonnets and other wild flowers along Hwy 71 between Brady and Llano. We stopped in Llano and ate at Cooper’s Pit Bar-B-Q. Janet and I have never ate there but heard it was some of the best. We gassed up and headed home. Outside Llano we stopped to see the Bald Eagle nest but we didn’t see the eagles themselves. This is the first time Janet and I haven’t seen them there. We got to Georgetown some time after 2:00. Larry, Jo, Larry and Shirley were to spend the night and head back Saturday morning to Alabama and Georgia but because Shirley had to get back because of a family matter they loaded up and left around 4:00. All in all we had a good time in spite of some cold and wind. I’m looking forward to doing it again (soon I hope). The pictures don’t do any of what we saw justice. You just have to be there to really appreciate it all. I hope everyone else had as much fun as we did. 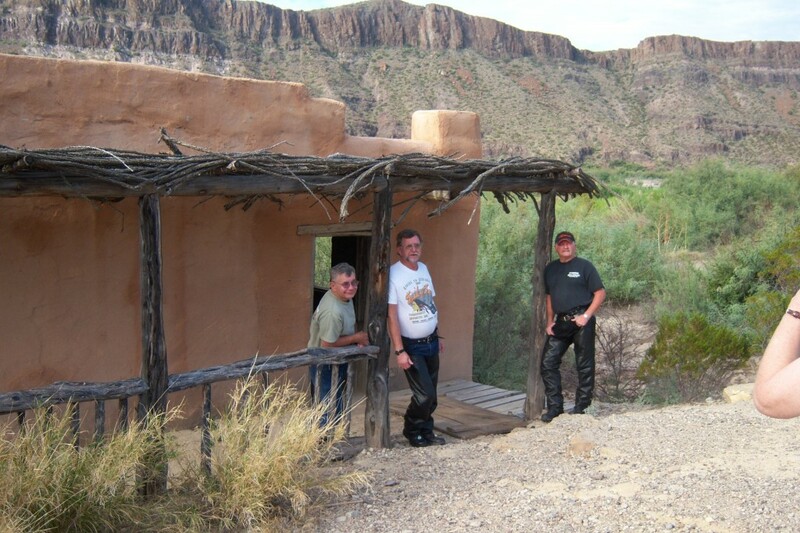 I need to start planning another trip… Maybe we’ll ride the perimeter of the U.S. next. Does anyone know how far that is?? 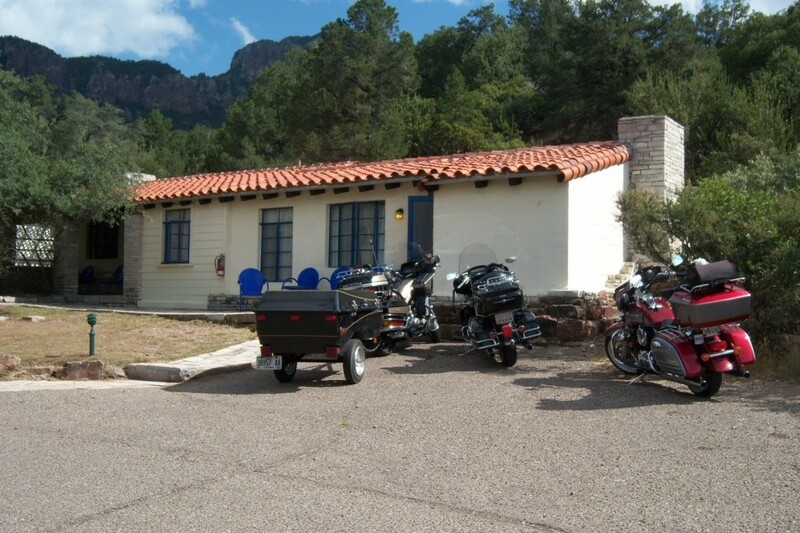 Links to the other days of our ride… Day 1 – 259 miles – Georgetown, Fredericksburg, Ozona Day 2 – 257 miles – Ozona, Ft. Stockton, Alpine, Terlingua Day 3 – 187 Miles – Terlingua, Santa Elena Canyon, Chisos Basin, Boquillas Canyon, Terlingua (all in Big Bend) Day 4 – 182 miles – Terlingua, Presidio, Marfa, Alpine Day 5 – 188 miles – Alpine, Ft Davis, loop 166, Ft Stockton Day 6 – 165 miles – Ft Stockton, Big Lake, San Angelo If you liked this post you may also like “Big Bend/Carlsbad Motorcycle Trip September ’09” or “Our First Big Bend Motorcycle Ride“. 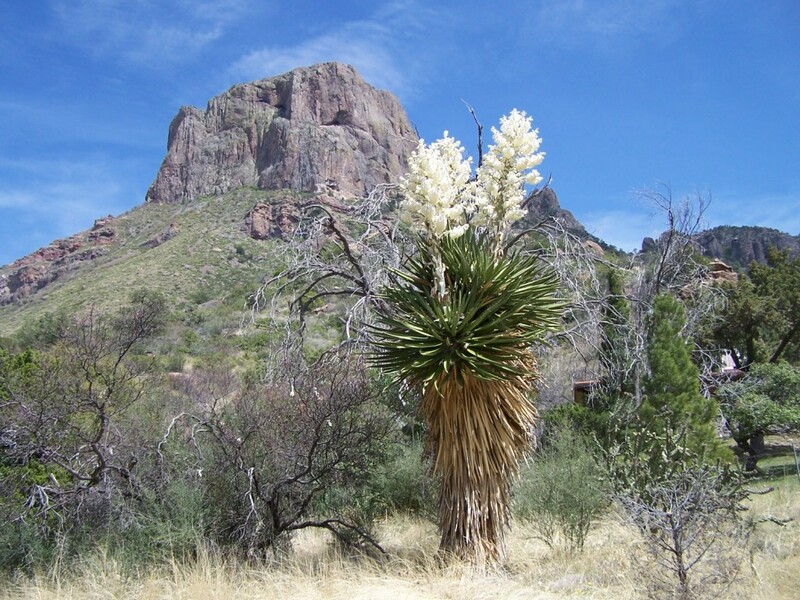 This is day 5 of our Big Bend National Park Motorcycle ride. My brother Gary headed back home because he had to go to work Friday night so we said our good byes and he headed off. Gary made it all the way back to West Columbia that day. 500 plus miles. This morning was clear and cool as we headed to Ft. Davis. Ft. Davis is my favorite place in Texas. “The coolest town in Texas”. Ft. Davis has this distinction because it is the highest (a mile high) town in Texas. Ft. Davis area is also grassier and has more trees than the surrounding area. During the summer it gets into the 90’s for highs and at night it cools off to in the 60’s and sometimes in the high 50’s. When it does get hot, it is tolerable because of the lack of humidity. 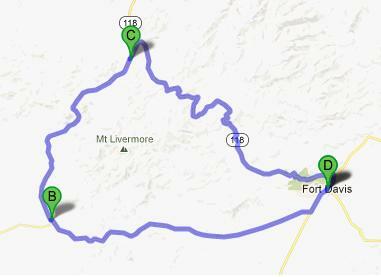 We didn’t stop in Ft. Davis because it was early and we would be back around lunchtime after riding the 166 loop. 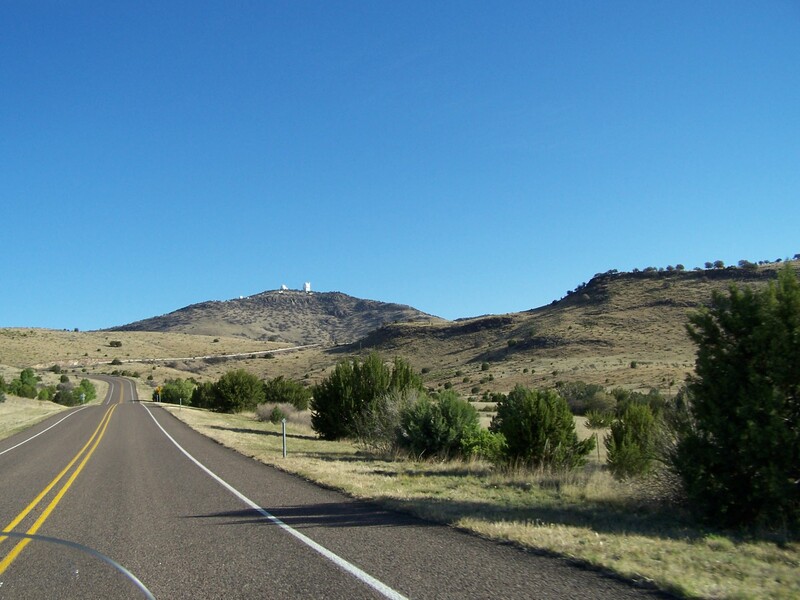 We rode up to the McDonald Observatory for a rest stop but because we got there around 8:00 something they did not open until 9:00 so we just waited until 9:00. Some of us got a snack and coffee and then we rode the rest of the loop back to Ft. Davis. 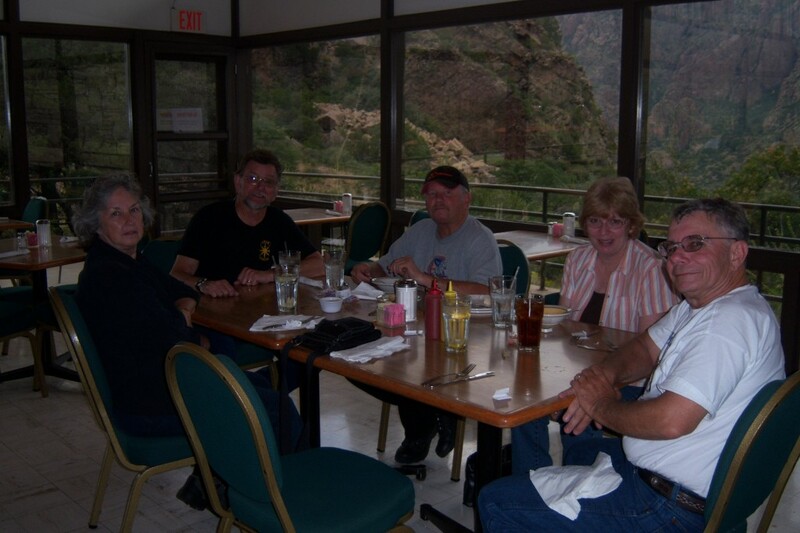 We had lunch, looked through the shops and Limpia Hotel and rode out to Ft. Davis Historical Park. The fort is my favorite fort in Texas. Many of the buildings have been restored and they are restoring more as time goes by. Every time we visit there is something new. 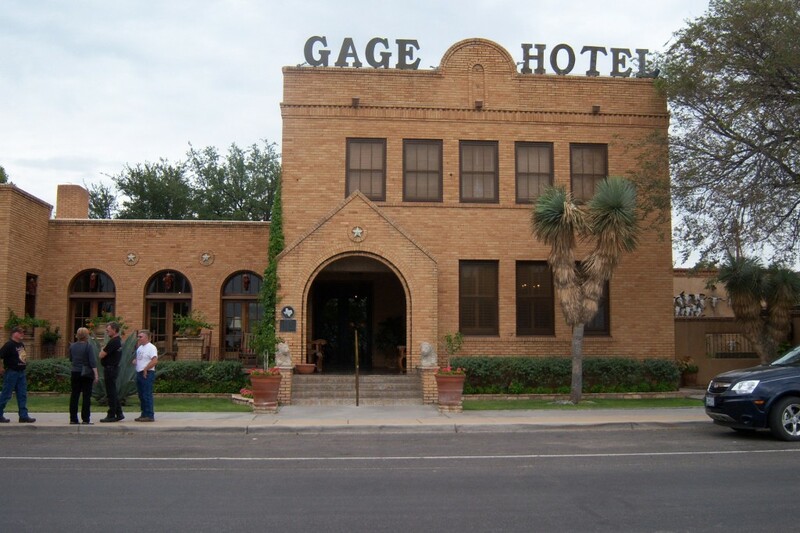 After touring the fort we were off to Ft. Stockton to spend the night. We rode up Hwy. 17. Hwy. 17 is really scenic too. 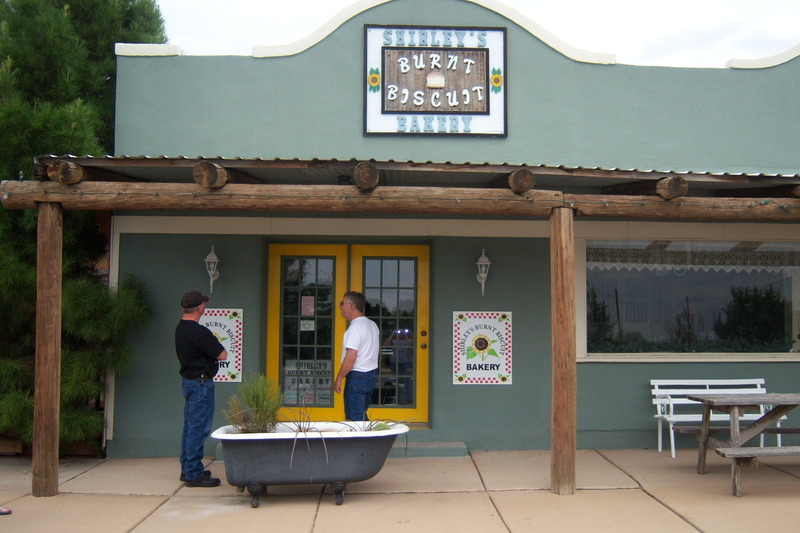 We rode to Balmorhea but did not stop. Balmorhea boast of having the largest spring fed swimming pool. From 22 to 28 million gallons of water flow through the spring-fed swimming pool each day. At Ft. Stockton we checked in at the motel and then walked down the street and ate Chinese food. 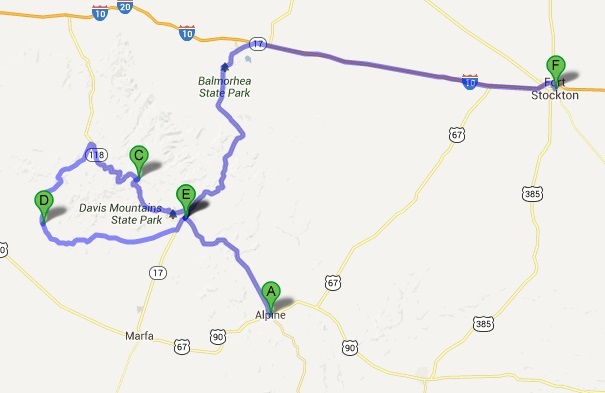 Links to the other days of our ride… Day 1 – 259 miles – Georgetown, Fredericksburg, Ozona Day 2 – 257 miles – Ozona, Ft. Stockton, Alpine, Terlingua Day 3 – 187 Miles – Terlingua, Santa Elena Canyon, Chisos Basin, Boquillas Canyon, Terlingua (all in Big Bend) Day 4 – 182 miles – Terlingua, Presidio, Marfa, Alpine Day 6 – 165 miles – Ft Stockton, Big Lake, San Angelo Day 7 – 195 Miles – San Angelo, Llano, Georgetown If you liked this post you may also like “Big Bend/Carlsbad Motorcycle Trip September ’09” or “Our First Big Bend Motorcycle Ride“. We woke up to a beautiful day. 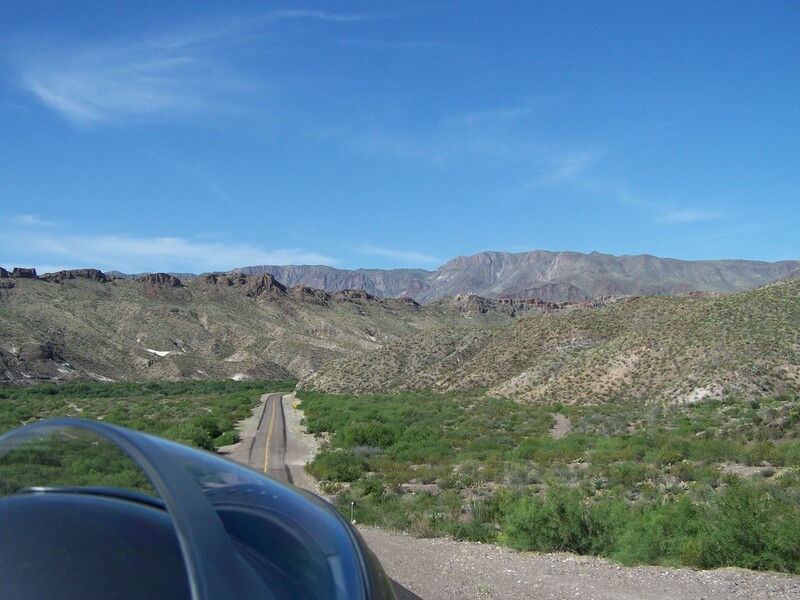 Got off to a good early start and saw a lot of beautiful scenery between Terlingua and Presidio following Hwy. 170 (the river road). Hwy 170 meanders along near the Rio Grande most of the time. Larry Talley liked this part more than Big Bend. Along the way we stopped at Lajitas Resort. The resort was really nice but a bit expensive. From there we rode on and stopped at a picnic area to take pictures and stretch our legs. From there it was on to Presidio to eat lunch at El Patio Restaurant. We read about El Patio in Ride Texas magazine. 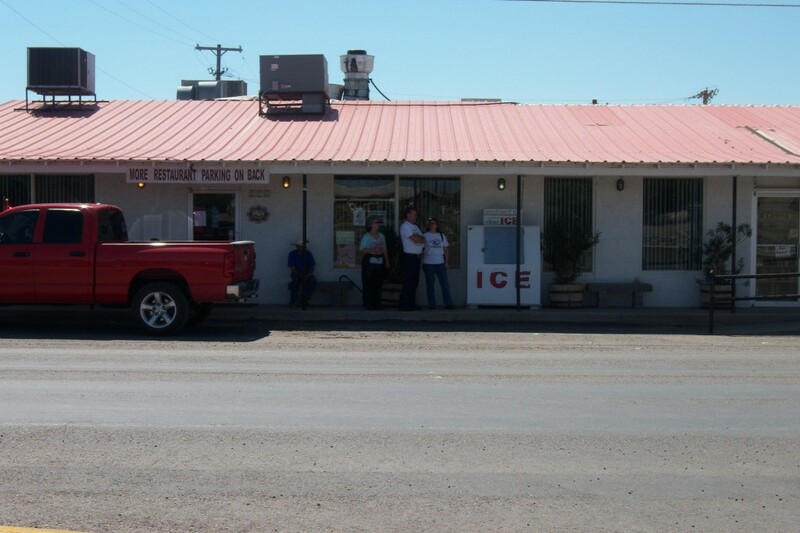 It said it was perhaps some of the best Mexican food in West Texas. I must say it was the best food of the trip for me. I look forward to eating there again! We gassed up and header north to Marfa. Unfortunately the winds had picked up which made it a bit rough riding. It had got quite warm by the time we got to Presidio but as we climbed in elevation, as we got closer to Marfa it cooled off a lot. 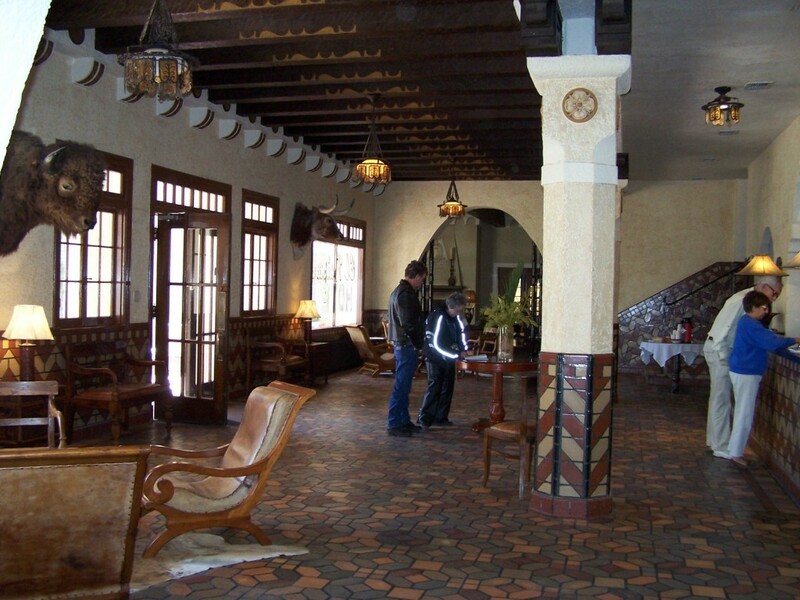 We stopped in Marfa and toured the Paisano Hotel and the courthouse. The courthouse had been redone a few years ago. From there it was on to Alpine to spend the night. That night we ate at the Raita restaurantt. The restaurant is owned by Grady Spears the cowboy chef. 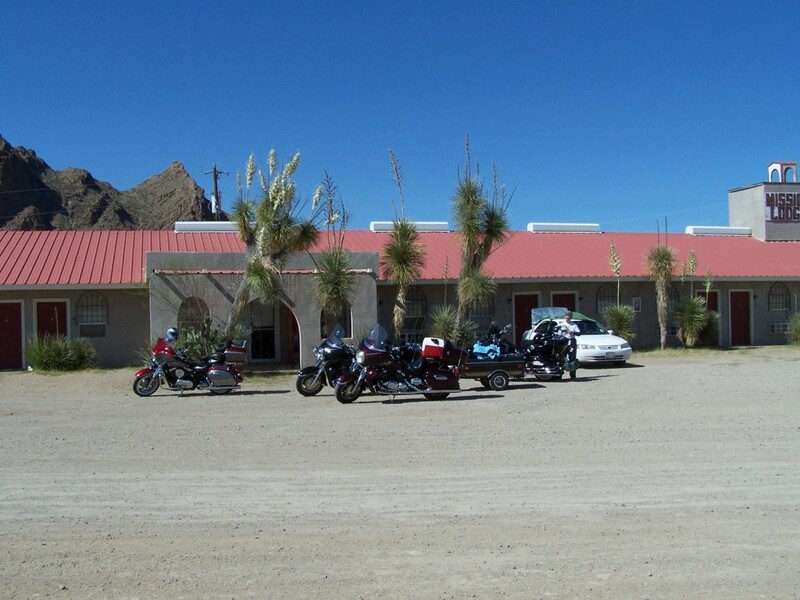 If you liked this post you may also like “Big Bend/Carlsbad Motorcycle Trip September ’09” or “Our First Big Bend Motorcycle Ride“.